When your cruise ship docks at Piraeus Port in Athens, why not head into the city to find all the key sights? 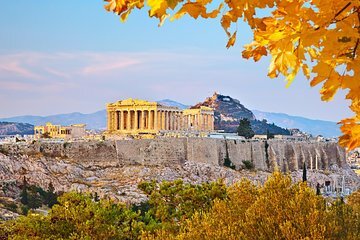 After a panoramic tour with a local guide, discovering sights such as the Panathenaic Stadium, you’ll then visit the UNESCO-listed Acropolis of Athens and explore the city center with the help of an insiders’ guide. Lunch is included, and you’ll have ample free time to discover the neighborhood of Plaka, too.